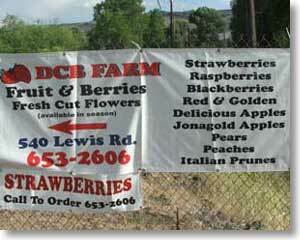 DCB Farm has been growing delicious fruit and berries in Naches since December 1992. 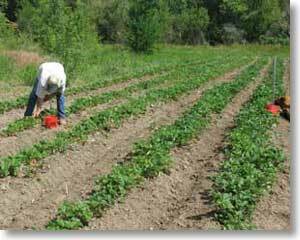 We planted our first strawberries in 1993 and offered U-pick strawberries in 1994. 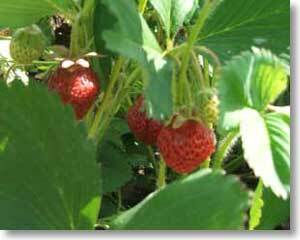 U-pick strawberries was the focus of our business for 10 years. More recently we have discontinued the U-pick portion of our business and do the picking for all customers. Over the years we have planted new orchards and expanded our berry business to include raspberries and blackberries. Apple varieties that we grow include red delicious, golden delicious, Jonagold, Fuji, and Gala. We have planted baking apples in the following varieties: Macintosh, Gravenstein and Granny Smith. We also grow and sell Bartlett and D’anjou pears. Our delicious peaches include Donut, Rosa, Hale, Elberta, and Angelus. We also carry late harvest Italian prunes and those to die for Asian pears. Visit DCB Farm throughout the Summer and Fall for the freshest produce! Calling ahead to order is the best way to ensure availability. We look forward to serving you in the small family farm experience, offering you the fruits of our efforts for your family's table. CALL AHEAD to order your fruit ... we are around most of the weekend, but may be out on the farm and hard to track down. So it's best if we know when to expect you! Get Directions to DCB Farm!